Pick a random pixel. Over a plain background of the same size as the image, draw a circle over that spot: bigger if it’s lighter, smaller if it’s darker. (Or reverse it: big for dark, small for light.) Repeat, but don’t overlap the circles. After a while, you’ll run out of empty places for new circles, so stop. I screwed up the math for checking circle overlaps. 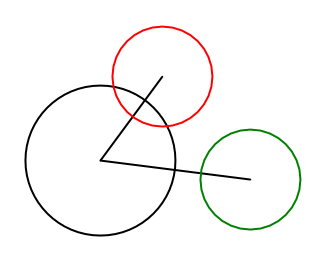 At first, I was thinking: pack the circles as tight as you can, so only call it an overlap when the distance between the circle centers is less than the sum of their radii. But then, from another part of my brain, I drew the circles at half-size, forgetting that Processing’s ellipse method takes width and height parameters, not a radius. So the circles were packed less densely, and I wasn’t clever enough to see why. I hacked it, and decided to count it as an overlap when the distance is bigger than the radius of the bigger circle. (Shrug. Hack.) It worked. And it looked cool. Eventually I figured out my bug, and fixed it, but then the circles were too dense, so I went back to the happy accident. I also tried color images. I think there’s potential here, but I like these less. The source images are images of Paul Erdős, Jorge Luis Borges (twice), Henri de Toulouse-Lautrec, two sunflowers, and a cow. float circleSize = dark ?